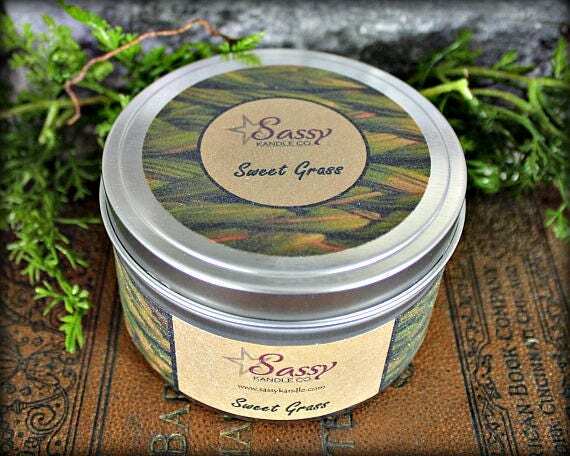 SWEETGRASS | Candle Tin (4 or 8 oz) | Phthalate Free | Sassy Kandle Co.
Fragrance: SWEETGRASS - A bright green scent of earthy sweetgrass with just touch of clover and wisteria. Clean and fresh and earthy. Wow. 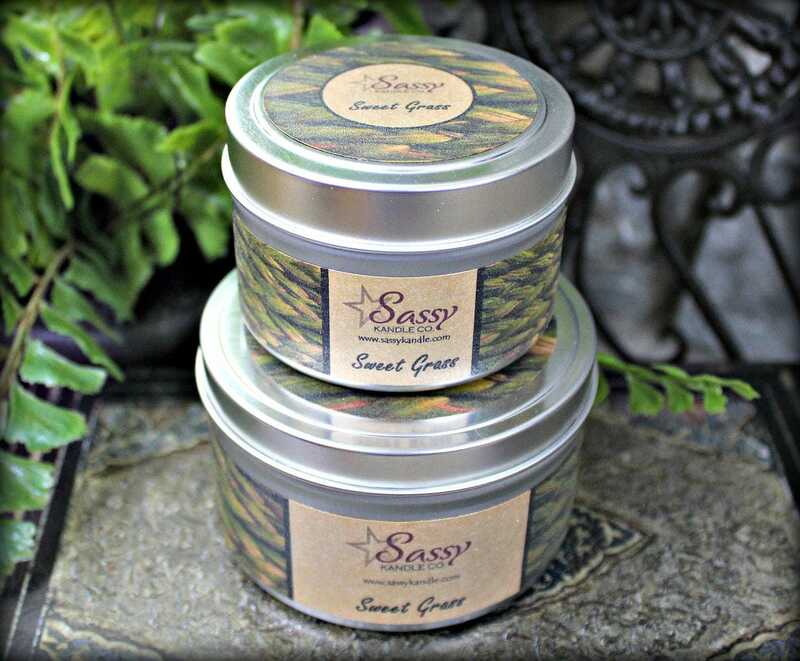 Smells wonderful and really appreciate the little extra that was included! 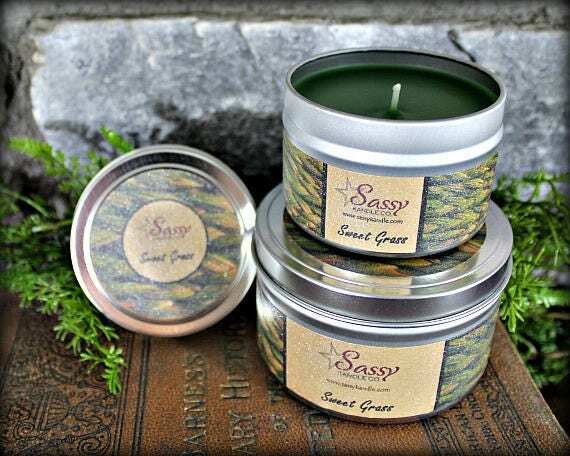 These candles will make lovely gifts! Quick shipment, smooth transaction. Thanks so much! 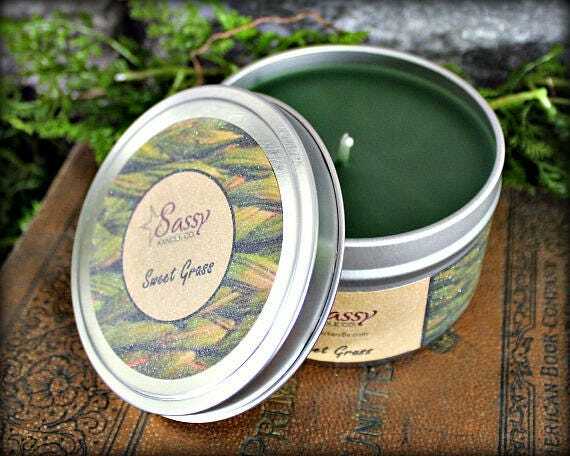 Great smell! 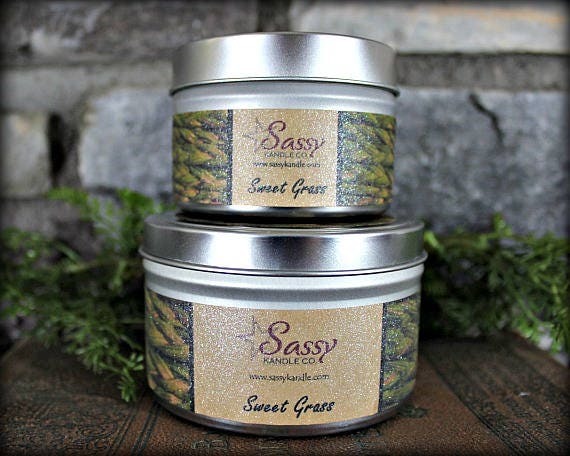 Love the name, recipient has a cat named Sassy thus the purchase for Xmas gift.